Do You Have to Pay a Bill That Has Been Charged Off As a Bad Debt? You may see on your credit report that an account has been charged off as bad debt. Many people are unclear about what that means; some think it means that the creditor forgave the debt and isn't going to collect it anymore. However, that's not necessarily the case. If you have a debt that has been charged off, you're still responsible for the balance due unless and until the creditor informs you that the debt is forgiven, you file bankruptcy, you pay it in full or the statute of limitations expires. A debt showing as a charge off on your credit report isn't gone; you still owe the money unless you pay it off, the creditor explicitly forgives it or you pay it in full. You may also be able to discharge the debt in a bankruptcy case, depending upon the type of debt it is. A charged off loan or debt is a debt that the creditor has decided to remove from its books as an active collection. Simply put, the creditor has decided, either specifically or based on some internal procedure, that the debt is a bad debt and that it isn't collectible. A charge off is not debt forgiveness, and it is not a removal of your liability on the debt. It's simply an accounting entry that banks use to balance their books. The lender may then decide if it wants to try to collect on the debt or not. Personal loan or credit card charge offs have a negative impact on your credit score. Charge offs generally occur when someone has a severe payment delinquency, and so a charge off can affect your credit score to the same degree as a history of late payments or nonpayments. 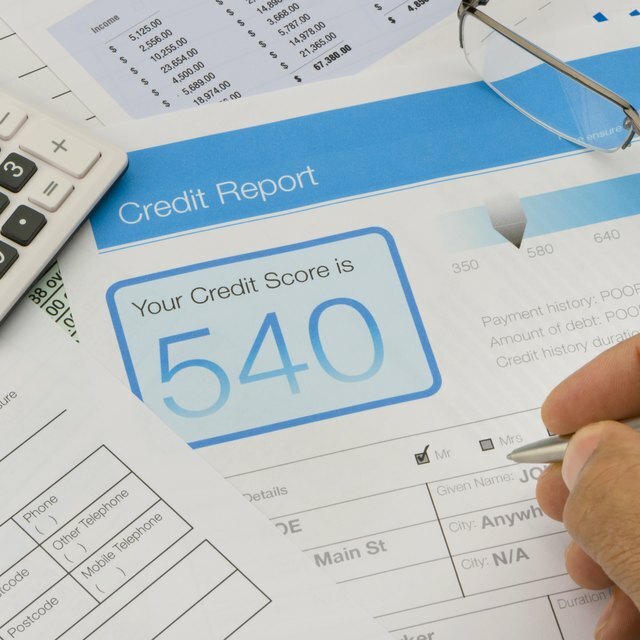 Additionally, if the original creditor turns the account over to a collection agency, the charged off debt may appear twice on your credit report – once for the original creditor and once for the collector. This can result in showing two delinquent accounts where there is really only one. A charged off account is usually also a closed account, but you can have closed accounts that are not charge offs. A closed account is simply an account that has been closed, either by you or by the creditor, and is no longer active. For example, if you call your credit card company and cancel your card, you won't be able to use it anymore (although you'll still have to pay back the remaining balance). In that case, as long as you were on time with your payments and continue to pay on time, it won't be a delinquent account. What Happens to a Charged-Off Credit Card Account Closed by the Grantor? What Happens to Charged Off Credit Card Debt? Do Real Estate Liens Expire? Can Credit Card Debt Attach a Judgment to Your Bank Accounts? Similarly, if you pay off the credit card and ask for it to be closed, it will show as closed on your credit report, but it won't hurt your credit. If you're behind on the card when you close it, or if you stop paying on it after you close it, it will show up on you credit report as closed and delinquent. Just because an account has been charged off doesn't mean the creditor has decided to let you off the hook. A charge off is not debt forgiveness. If you have a charged off account, even if it has been charged off for some time, it is still collectible until the statute of limitations runs out. Many people will see a charge off and think they're in the clear as far as collections, but the creditor can actually strike at any time before the statute of limitations ends, even if they've ignored the debt for several years. A statute of limitations is a time period, as set forth in your state's laws, during which a lawsuit can be brought. The statutes of limitations are different for different types of actions. For example, in Pennsylvania, the statute of limitations for personal injury lawsuits is two years, and the statute of limitations for a breach of contract action is four years. A debt collection lawsuit is generally considered a breach of contract, because you contracted the creditor to pay money back in exchange for getting the loan. Therefore, collections have a four-year statute of limitations. The statute begins to run after you make your last payment. If a charged off debt has been sitting there for more than four years and you haven't paid on it in all that time, the creditor can't come after you for it anymore. The statute of limitations for debt collection varies from state to state, so check your state's laws to find out how long it lasts. If you have a charged-off debt on your credit report, any number of things could happen. First, it could be nothing. The creditor may leave it and forget about it, and the statute of limitations could run out on its collection. In that case, it will still be a charged off debt, and it will sit on your credit report and reflect poorly on your score. Second, you could be pursued by a collection agency or debt buyer, and you may receive letters, warnings and phone calls about repayment of the debt. Third, you could get sued. If the creditor's other tactics fail to yield results, they can bring a lawsuit against you as long as it's within the statute of limitations, and if you have no defenses, you will have a judgment entered against you. If you do become entangled in a collection lawsuit and a judgment is entered in favor of your creditor, the creditor can take various actions to collect the debt that it couldn't take before it got the judgment. A money judgment allows creditors to garnish wages, levy on bank accounts, send the sheriff to your house to sell your personal property and in some cases, sell your house. What the creditor can do with the judgment is entirely up to the law of your state. Some states permit wage garnishments but some do not, for example. Some states allow a judgment to create a lien on your real estate, and some do not. If you decide to file bankruptcy, you may be able to include the charged off debt in your bankruptcy case. While not every person who files bankruptcy gets a discharge (for example, if the debtor committed fraud, or if he was in a Chapter 13 case and didn't make all his bankruptcy payments and finish his plan), if you do get your discharge, any charged off debts are included. Certain debts cannot be discharged, including student loans. If your charge off is a student loan debt, the bankruptcy won't take care of it unless you can show that repaying the loan would be a significant hardship that will continue for the entire repayment term. However, if the charge off is simply medical debt, credit card debt or other personal types of loans, it is dischargeable in most bankruptcy cases. U.S. News & World Report: What Happens if You Don't Pay a Debt? Discover: What is Credit Card Charge Off? Equifax: What is a Charge-Off? Pennsylvania Legislature: Section 5525. Four Year Limitation.